kelly-fox — Alluvial Wines Inc. The first time I met Kelley I was struck by her absolute genuineness (is that a word?) and honesty. And her striking persona matches perfectly with her utter honesty in all aspects of her life - it's reflected in her wine. Kelley has been making wine for years - in Oregon and in New Zealand, including time at Hamacher, The Eyrie Vineyards, Torii Mor & Scott Paul Wines. As a constant seeker, she has and continues to travel the world seeking experiences that expand her knowledge and her world - also reflected in her wines. 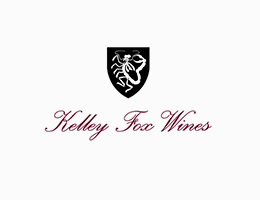 Along with her father, Gerson Stearns, Kelley launched her own label in 2007 - Kelley Fox Wines. Lucky for us, Kelley is able to source from some of the great vineyards of the Willamette. She believes in natural farming and winemaking so her vines are tended by hand. At harvest, the grapes are picked by hand - some are de-stemmed and some are whole-cluster. In the winery, Kelley follows through with her beliefs. She doesn't inoculate with lab yeast. Fermentation is spontaneous and done in one-and-a-half-ton fermenters. Music is played for her wines.....I'll leave it to you to ask what music next time you see her. The tiny production is made in the Willamette Valley at Momtazi. Oh and Kelley is using screwcaps - she's had problems in the past with corks and says that when you sell a bottle of wine with your name on it, you should be sure that the customer doesn't get a faulty bottle, even if the risk is only 1% - a hearty amen!